Home Fellowships International Center for Journalists (ICFJ) TruthBuzz Fellowships 2018 for Media Professionals. International Center for Journalists (ICFJ) TruthBuzz Fellowships 2018 for Media Professionals. Application Deadline: Sunday, April 29, 2018. 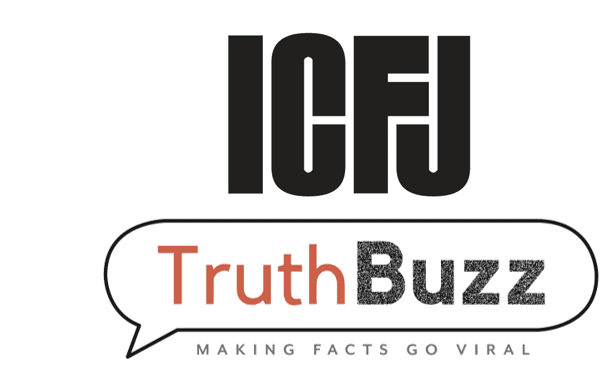 With the support of Craig Newmark Philanthropies, the International Center for Journalists (ICFJ) is expanding its TruthBuzz initiative, designed to find new ways to help verified facts reach the widest possible audience. In 2018, TruthBuzz will recruit five full-time Fellows to work in newsrooms in some of the most populous nations: Brazil, India, Indonesia, Nigeria and the United States. Modeled on ICFJ’s Knight Fellowship program, TruthBuzz will embed experts in these outlets to help reporters adopt compelling storytelling methods that improve the reach and impact of fact-checking and help “inoculate” audiences against false or misleading information. The goal of TruthBuzz: increase audience trust in news media by communicating fact-checked information in a compelling, sharable way. TruthBuzz Fellows will be change-makers who can drive the adoption of new ways of making facts go as viral. ICFJ will collaborate with First Draft, a project of the Shorenstein Center at the Harvard Kennedy School of Government. The TruthBuzz Fellowship is only open to English-speaking media professionals already working in one of the target countries: Brazil, India, Indonesia, Nigeria and the United States. The Fellowship will start in summer 2018, between June-August. Fellows will be embedded with two to three partner media organizations in each of the countries to: spur the production of compelling stories that fact-check and debunk misinformation. All Fellows will receive a monthly honorarium as well as a professional allowance to supplement their work with partner newsrooms. ICFJ will gather the selected TruthBuzz Fellows at ICFJ’s office in Washington, D.C., for an orientation. First Draft News and ICFJ will provide additional training to the fellows and the partner newsrooms in-country. The training will cover both the principles and techniques of fact-checking and verification as well as training on visual storytelling. The Fellows in this program will be expected to share and communicate their innovations through ICFJ’s social media channel and our online platform, IJNet, which offers resources, tips and expert advice for journalists in seven languages. Over the course of the Fellowship, there may be opportunities for TruthBuzz Fellows to travel to conferences to share their work with wider professional audiences. To be considered, potential Fellows must submit an application including a project proposal with a timeline, an essay outlining their skills and a short video. Please click here to read the full application. Applications will be considered on a rolling basis. The deadline to apply is Sunday, April 29, 2018. To read the full criteria and TruthBuzz Fellow FAQ, click here. Previous articleWomen Photograph Nikon/ Getty Images 2018 project grants for women & non-binary photographers.